Now _there’s_ a photo that’s worth at least a thousand words! “Here – hold this instrument – don’t worry that you don’t play it – it’s only for the photo. Guys! You – in the back. I can’t see you – remember – if you can’t see me, the camera can’t see you. Yeah – I know – holding up a wee percussion “instrument” isn’t very exciting. Stop scowling! Geez, Lucinda, do you have to move in _every_ photo you are ever in?” and on, and on, and on. Thanks for this Sunday gem. Glad you like it. It is a favorite of mine as well. 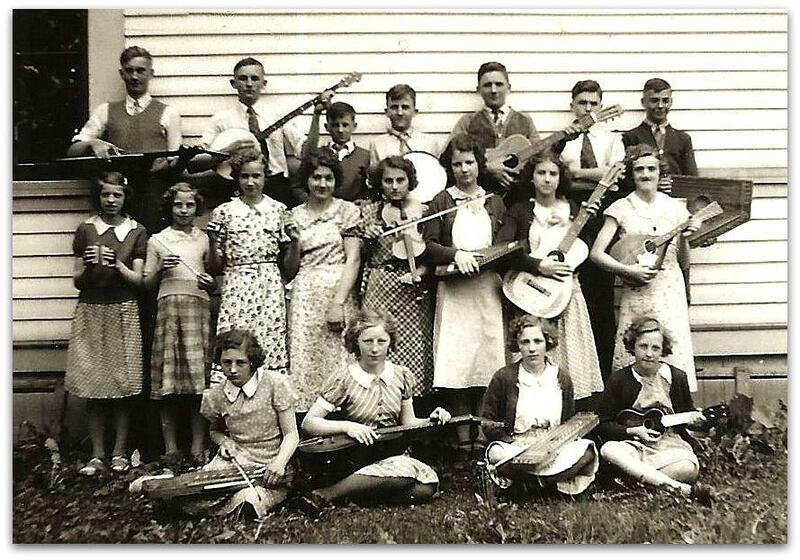 I wonder if these kids actually played or if they just gathered whatever instruments they could find! Be quiet in your mind, quiet in your senses, and also quiet in your body. Then, when all these are quiet, don’t do anything. In that state truth will reveal itself to you.